Windsor police say a firearm was not found after a possible weapons call on the east side. 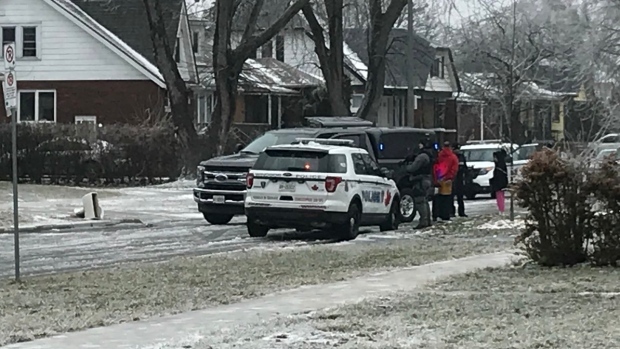 On Tuesday around 12 p.m., patrol officers responded to a home in the 1500 block of Arthur Road for a report involving the possession of a weapon. Officers arrived and met with the complainant. Police received information that the property contained a number of rented units, including a detached garage. It was reported to officers that a witness had seen what they believed to be a handgun in a holster. The possible firearm was reported to have been seen inside the garage within the last week. Police say any potential possession of an illegal firearm investigation is treated extremely seriously by the Windsor Police Service. Officers set up containment of the property and members of the Emergency Services Unit were dispatched to the scene. Officers then made contact with two occupants of the residence, who exited the house under direct police command. Officers subsequently entered the residence and garage, and determined there were no other occupants.